As it turns out, there are a whole lot of Halloween procrastinators on our side! 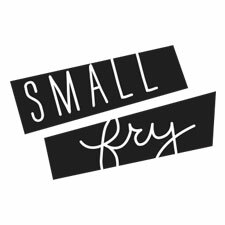 Scanning Instagram (check us out @smallfryblog) it seemed everyone was carving pumpkins last minute, so here’s a few more tricks and treats to get you through your last minute Halloween preparations, by our resident clutch artist, Nicole. Trying to throw together a costume on the fly, or maybe your over ambitious sewing project just didn’t pan out? Either way, the secret to a day-of costume’s success is face paint! 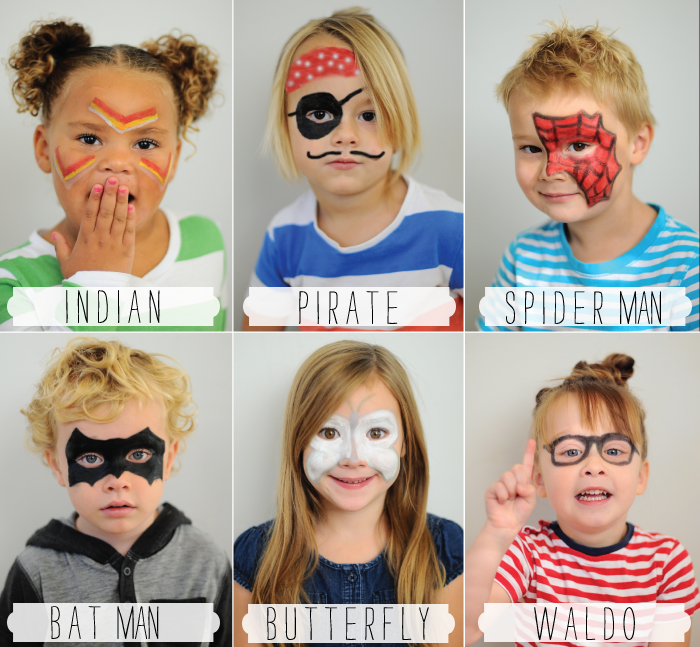 Your kiddos can wear whatever they have that resembles the theme from their closet, but a little face paint goes a long way in taking it from flop to festive. Here are six easy options that even the most amateur artists can pull off. Now that your crew has been successfully costumed and sent on their way, a true procrastinator is probably starting to think about what they’re going to bring to the school parade, dinner with friends, or costume party. These two options are quick and easy! 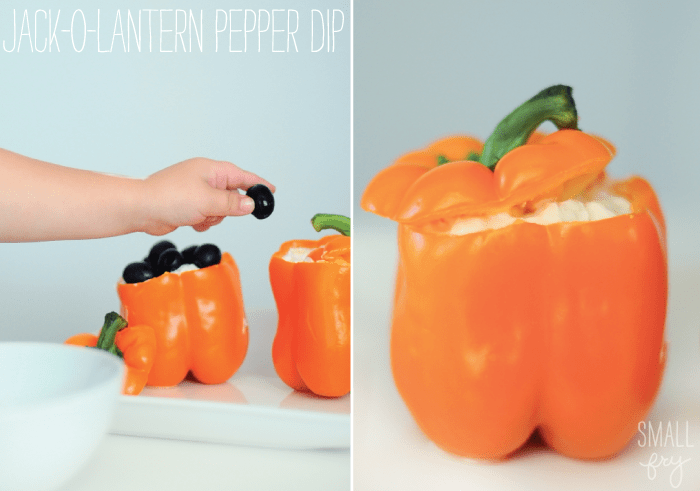 Clean out an orange bell pepper and stuff it with your favorite (let’s face it, at this point, store-bought) dip! Bring a plate of veggies and crackers and you’re good to go! And finally, the witch hat cookie. Made in under a minute, we timed it, and easy enough that you could do it at a stoplight or in the carpool line. While you’re at the store picking up those peppers, head down the cookie aisle and grab a carton of the chocolate covered mint cookies (we used Keebler Grasshoppers), a bag of Hershey’s Kisses and some Nutella hazelnut spread. Dollop a little Nutella on the bottom of the Kiss and stick it to the cookie. Done. Good luck, and Happy (last minute) Halloween! Ha ha. My halloween memories always include my mom scrambling to put a costume together during the lunch break before our elementary school class parties. We had some awesomely creative costumes. I am salivating out of control over those kiss cookies. Love the stuffed pepper, you guys are so creative! Happy Halloween! we love our biggest fan. hang in there baby! Indian. Seriously? Where’s the black face tutorial? Or the Jewish prosthetic nose sourcing? Oh geez. Seriously? Native American paint their faces for different reasons but note that they do it to themselves. God didn’t do it to them so it doesn’t really fall into the same category as black faces and Jewish noses. I wonder what the world would be like without this kind of hypersensitivity and eagerness to brand everyone a racist.